Mirrors are designed & manufactured in Canada, constructed using the latest colours & textures in a wood grain melamine finish. The Colton 28 inch mirror captures attention with its stunning Basil Green finish, solid birch wood frame, and moulding details. It is constructed with top quality and includes a wall cleat for easy hanging. This mirror is a perfect companion of the Colton vanities. While the Hepburn Collection cannot project those qualities as fully as the iconic "Audrey" who inspired its name, we did think of her simple beauty when we set out to design this tasteful assortment of bathroom furniture. 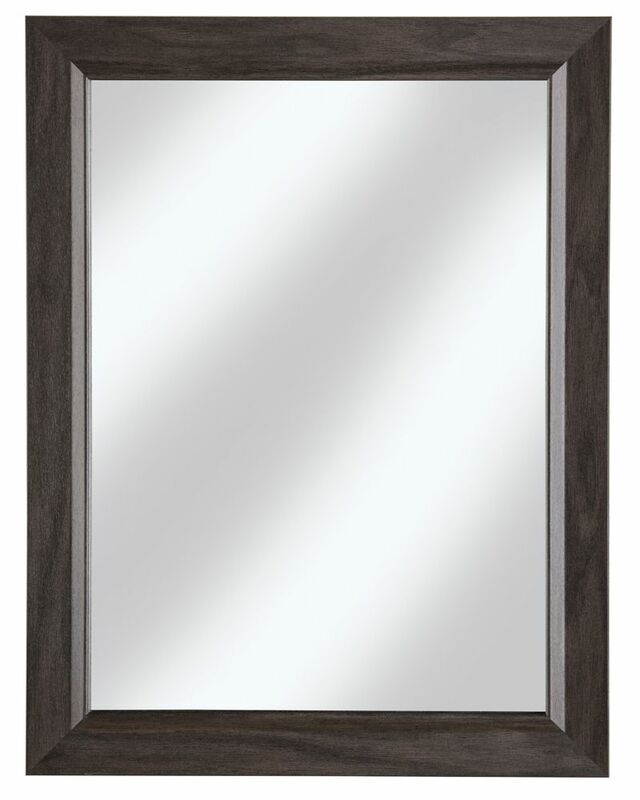 The 28 inch mirror is layered a sumptuous Dark Chocolate finish upon the solid ash wood frame. Included wall cleat makes hanging the mirror effortless. Pair the mirror with the matching vanities, and Hepburn is guaranteed to delight for years to come. The Boardwalk Collection bathroom vanities offers a contemporary approach in both design and finish. With its sleek lines and unique handless soft closing drawers, this collection is designed for today's modern living. Manufactured using a combination of solid colours and beautiful natural looking wood grains, the Boardwalk Collection transforms bathrooms into a city oasis.